Waden Kane Studios was on hand during GDC 2019 to chat about Traffic Cop and its intriguing premise as well as how it came together. 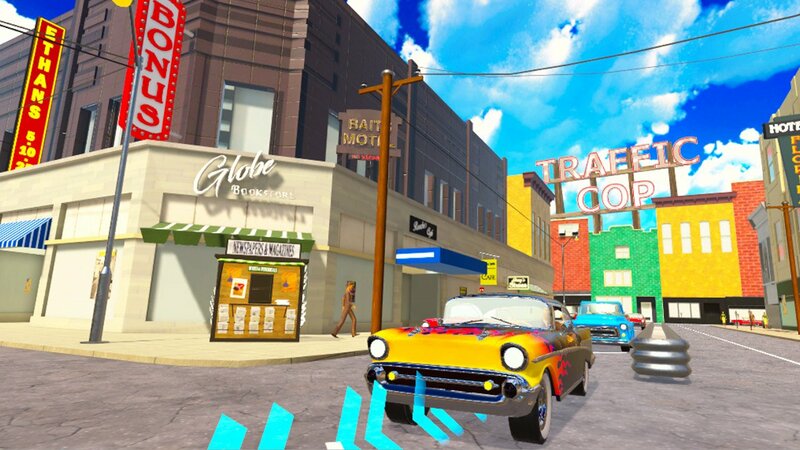 Shacknews recently had the chance during GDC 2019 to chat with Waden Kane Studios about the uproarious VR arcade game Traffic Cop. Traffic Cop has an interesting premise. You wake up and find yourself in the middle of an intersection in the 1950s. What to do? You start directing traffic, of course – for better or for worse. Angry drivers can throw food at you if you don't do your job fast enough (you can grab it and throw it back if you want). You can even grab a ray gun and shoot down UFOs later on in the game. IT's a lot like doing the job in the real world, except a lot funnier and probably a whole lot safer, too. There are 20 different levels of traffic to direct, and you can unlock all lanes of 8 different oncoming traffic as you work through a shift. You've just gotta do your best to make sure you appear the drivers, and you'll be in the clear. The inspiration came from a visit to a virtual reality arcade, where the developer learned that the arcade's most popular game was Job Simulator. On the way home from that trip, everything sort of fell into place for him in terms of what kind of game he should make next while waiting at a traffic intersection. The rest, as they say, is history. If this sounds like fun, you can pick up the game now via Steam for $8.99. You'll have to have a Vive headset to play, if you're interested, and then you can jump into the fanciful world of being a traffic cop! We're sure it's a lot less fun in real life than it is in the game.